It’s been a banner year for cheating scandals in sports. In baseball, allegations of steroid use and a federal indictment on charges of lying to a grand jury tainted Barry Bonds‘s record-breaking 756 home runs. In football, the New England Patriots got caught videotaping the defensive signals of the New York Jets. In cycling, the Tour de France became the Tour de Pharmacie when officials stripped Floyd Landis of the 2006 title after he tested positive for elevated levels of testosterone. In Formula One racing, the leading team, McLaren Mercedes, was fined a bracing $100 million for stealing confidential technical specifications about rival Ferrari. I’m not much of a sports fan, so my couch-potato juices started flowing only when the cheating epidemic spread to chess. 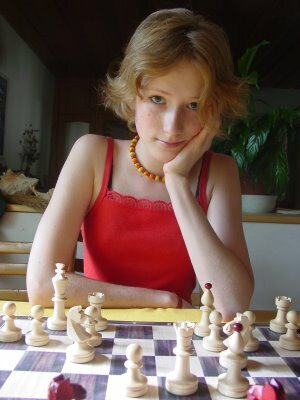 I’ve been playing since I was 5 years old and have spent untold hours practicing sequences of moves such as the Fried Liver Attack and the King’s Gambit Accepted. Chess, I’d always thought, is an ennobling cerebral contest between two determined players armed only with their intellect and free of all drugs, except perhaps caffeine. So you can understand my chagrin when Azerbaijani adults attending the European Union children’s championship last month accused the 8-year-old Russian winner of receiving illicit help from a third party during the game. Tournament organizers ultimately rejected the allegations and berated the adults for smearing the child’s good name. The charges looked too much like an underhanded attempt by Topalov to rattle the taciturn Kramnik, who was forced to explain his hydration and evacuation habits to a prying press corps, and the International Chess Federation ultimately decided that they were spurious. Nonetheless, organizers of future tournaments are now debating whether they should herd grandmasters — the black belts of the chessboard — through metal detectors and all but strip-search them before a match. Already, playing halls have been bombarded with electromagnetic signals to jam secret wireless communications. Overkill? Not really. At the 2006 World Open in Philadelphia, the biggest annual amateur chess event in the United States, a player was caught with a concealed wireless earpiece. And the 2007 World Open reportedly had its own problems involving the use of body doubles, when a weaker player entered a competition for players of similar skill but had a much stronger look-alike sit in for him. In the pressure-cooker environment of world championships, where the most prestige (and cash) is at stake, players have done much worse. In 1978, world champion Anatoly Karpov employed a sketchy-looking “parapsychologist” to sit in the audience and “hex” challenger Viktor Korchnoi. Not to be outdone, Korchnoi hired two saffron-robed mystics, Didi and Dada, both convicted of attempted murder, to meditate distractingly in the front row. Many players routinely use more modest means of unnerving their opponents, from banging the pieces and glaring menacingly to chewing with their mouths open and rocking maniacally in their chairs. It is against the rules to purposely distract an opponent, but who is to say that a coughing player doesn’t really have a cold or a fidgety opponent an uncontrollable nervous tic? Mecking retaliated by making some noise of his own, but Petrosian calmly turned off his hearing aid and crushed him. Paul Hoffman is the author of “King’s Gambit: A Son, a Father, and the World’s Most Dangerous Game” and the Web site and blog thepHtest.com. The big money World Open Chess tournament in Philadelphia ended yesterday with a nine-way tie for first. The two players who had the best “tie-breaks” (in other words, the two whose opponents scored the highest), namely Ukrainian émigré Alexander Stripunsky of Queens and Armenian émigré Varuzhan Akobian of Los Angeles, came together for a sudden-death playoff. Akobian, twenty-three, emerged victorious. Like the 2006 World Open, this year’s event was marred by cheating scandals In 2006, one player was found to be wearing a concealed wireless earpiece. He was suspected of receiving suggestions for strong moves from an accomplice equiped with grandmaster-level, chess-playing software. This year, tournament directors patrolled the playing hall armed with high-tech devices to detect prohibited wireless transmissions. And yet, as Chess Life Online reports, there was still “a bevy of cheating accusations…. [The] incidents included double identity (two players who look alike and dress alike playing as one player), false identity (a player who entered the tournament under a false name) and thrown games.” Chess Life Online did not provide any further details.